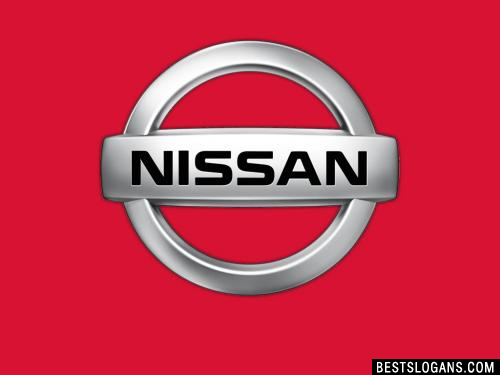 11 new entries added to nissan slogans, that include pictures. 1. The most reliable member of your family. 1 The most reliable member of your family. 2 The Micra. Ask before you borrow it. 3 Terrano II by Nissan airlines. 4 Nissan Primera. Designed to improve your performance. 8 You can with a Nissan. 9 Just wait you drive it. 10 Everything you want, nothing you dont. Can you think of a good Nissan Slogans we're missing? Or come up with a clever one of your own. Please share below.